Max joined the IPR Group in August of 2017 and the scope of his work focuses on the processing of clients’ database as well as prepping of documents for submission to UPTO, keeping track of the maintenance of annuities in force and other deadlines. He received the diploma of a Junior Specialist with honours in 2014 at the Taras Shevchenko Optico-mechanical College in Kiev with a major in software development.He is also currently enrolled for a Bachelor’s degree at the National University of telecommunications, specializing in software engineering. 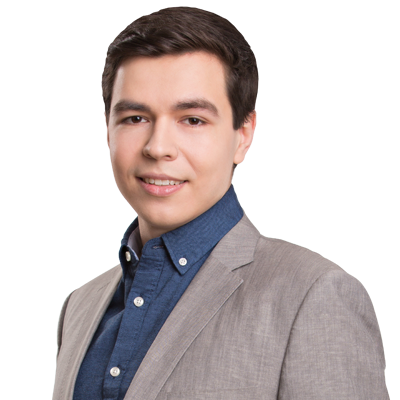 Max’s improving knowledge and keen interest in the patenting of inventions, industrial design and utility models, equipped with his degree in engineering will earn him a much developed expertise in the field of intellectual property. His hobbies include spending free time with his friends, playing logic games and volleyball.